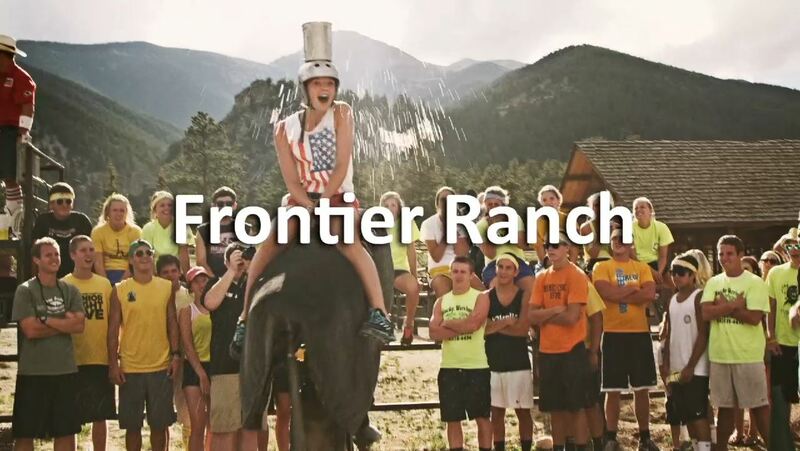 Save the date for Young Life Camp 2017 at Frontier Ranch! HEALTH FORM: All students need to have an online health form filled out and signed by parents/legal guardians before going on the trip. Log on or create an account at apps.younglife.org/HCform. Your health form is due online no later than June 1st. A PHYSICIANS SIGNATURE IS REQUIRED ON ALL CAMPERS HEALTH FORMS FOR THIS COLORADO TRIP! PLEASE PLAN AHEAD TO OBTAIN A SIGNATURE! Students will be unable to participate in any camp activities if your form is not completely and accurately filled out. PARENT MEETING: There will be an information meeting for parents on Thursday June 1st from 7-8pm at First Christian Church to discuss important final details for the trip. We expect all parents to attend. What to pack and final travel details will be provided at this meeting. Thank you! Rockbridge 2016 was amazing! Click below to see our videos from camp! Young Life Camp - click below for the Sign Up form. We now have an online payment option for any campers that wish to pay by credit card. Just fill out the required information and submit your payment. Click on the link below.